Over the last decade or two, the world has witnessed much change on the technological front. Largely to thank is the Internet, the single-biggest disruptor of human life in the 21st century. More and more businesses are jumping online, with a good deal of them basing their entire operations on the web. And as much as we cannot prophesy the demise of brick-and-mortar stores with certainty, anyone who has been around the block for a while will admit the impact of eCommerce on the latter has been huge. Immense.Today, the gates to the international borders have been thrown wide open, virtually-speaking, to the point we now live in what can be called a global village. This village even comes with its own market square in the shape of eCommerce stores. 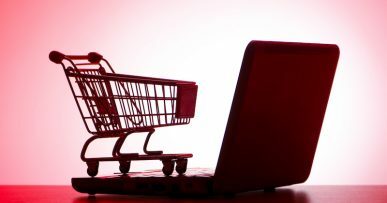 A recent study by the Pew Research Center found that close to 80% of Americans do at least some bit of shopping online, with 43% doing so either weekly or a couple of times a month. With so much business being conducted online, it naturally follows that shipping has to be a crucial factor of business. It is. However, despite its evolution over the years, it is still not without its pain points, shipping, especially when sourcing supplies from overseas. Hefty costs. Tracking issues. Lengthy delivery periods. The list is long. It is no secret that many suppliers today are based in China where most consumer products are manufactured. This partly explains why products on Chinese eCommerce giants such as AliExpress come at a fraction of the local cost. However, businesses that ship products from such platforms and deliver to local customers (dropshipping) have had to contend with low profit margins when all things are considered, never mind a host of other shortcomings. ePacket shipping is a freight service that allows online store merchants in China and Hong Kong to provide a faster and cheaper shipping option for lightweight packages. As the name (“e”Packet) suggests, the service is specifically targeted at the eCommerce sector. ePacket was launched in 2011 when the United States Postal Service (USPS) first teamed up with HongKong Post and eBay China to allow wholesalers to tap into the U.S. consumer market. Since then, it has remained relatively obscure until recently when it has gone mainstream. Originally, anyone looking to ship products from the Chinese shores at the most cost-effective price had to do it via China EMS. This meant you had to wait an awfully long time (usually over a month) to get your hands on the products – and often without tracking. The quicker options that were available proved a tad too costly so much so that they often ended up raising the final price of otherwise small inexpensive goods. With the launch of ePacket shipping, however, packages could not only be sent faster, but also became subject to the USPS First Class Mail Service once they hit U.S. shores. It also meant shippers could enjoy the peace of mind that comes with tracking consignments. Not that there weren’t other avenues to track your shipments, but ePacket delivery came with the added bonus of end-to-end tracking at no extra cost. 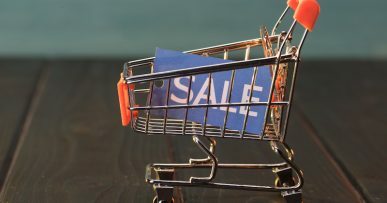 Chinese and Hong Kong merchants selling products on websites such as AliExpress, eBay China and DHGate often provide ePacket as a shipping option. However, this has grown to encompass just about any supplier in China and Hong Kong, provided the package meets the stipulated requirements for ePacket shipping. Not all products can be shipped by ePacket. There are a couple of criteria that must be met, according to the United States Postal Service. For starters, the merchandise (more of a parcel rather) should not exceed 4.4 lbs (2kg). Second, its value should not be more than $400. As far as the package size goes, the maximum measurements for eligibility are 60cm (24 inches) in length, with the total length, height and thickness not exceeding 90cm (36 inches). And of course, shipping has to be from China or Hong Kong to either of the eligible countries, amounting to thirty in number as at June 2017. Is ePacket delivery available in my country? The popularity of ePacket shipping thanks to the low shipping costs and quick delivery time meant it was only a matter of time before other countries got in on the act. Apart from the United States, the list of 29 other countries currently eligible for ePacket shipping are mostly spread out across Europe, with a couple of additional ones here and there. It is worth noting that this list is not definitive. It is constantly being updated, so keep checking every couple of months to see if the service has been enrolled in the country you are looking to purchase from. ePacket Shipping Duration: How long is the arrival waiting period? One of the hot-button issues in product shipping has and continues to revolve around delivery time. Now, one of the biggest draws of ePacket as a shipping method is the reasonable delivery period. Obviously, a number of factors will often influence the duration a package takes to reach its intended destination. A parcel being dispatched to the UK, for example, will not take the same time as one being sent to New Zealand. There could also be the small matter of delays at customs and other such things, all of which vary from one country to the next. The good thing with ePacket shipping here is that the delivery period is shortened by a considerable timespan, often halved. For example, in the United States, a package will be delivered within a 12- to 25-day window – on average. The parcel spends around half the time to get to its destination, while the other half is spent en route the intended facilities before finding its way to the customer. Orders to the United States are typically faster than other countries which can probably be equated to the high number of orders from the U.S. Nevertheless, orders to all other countries are scheduled to reach their destination much faster when using ePacket shipping. ePacket shipping comes with the advantage of being able to track and monitor your shipment down to the exact location and estimated time of arrival – at no extra charge. It’s a dream, as anyone who has found themselves on the end of thick customer service inquiries will readily admit. ePacket provides several options to track your shipments. You can do so through either one of the postal services, depending on where your package is in transit. ePacket China Post or HongKong Post can be used for as long as the package is in China or Hong Kong respectively. If your package is in the United States, use the USPS website to track your order. If you are in Switzerland or Australia, the respective postal services namely Swiss Post or Australia Post can be used. You can obtain your tracking code through your supplier. For example, if you are using AliExpress and want to find your ePacket tracking code, just log into your account, go to Orders and Track ePacket Order. Tip: As a rule of thumb, ePacket tracking numbers usually start with the letter “L”. This can come in handy when you want to ascertain how the package was sent. If you made the purchase on AliExpress, this shouldn’t be a problem because “ePacket” will be indicated as the International Shipping Company just next to the tracking number. However, if you are not purchasing on AliExpress, this is one way to be sure the parcel was indeed shipped by ePacket. Improved delivery timeframe – Shipping takes a reasonable time to get delivered. In most cases, it shaves off a couple of weeks’ waiting period. This has made ePacket the most popular shipping method for many a dropshipping store. Cheaper – Before ePacket shipping, the most affordable shipment options were the slowest. If you were in a hurry to get your delivery, you had to pay a premium. Not anymore. Order tracking – ePacket shipping makes it easy for customers to track their orders at no extra cost while they wait, with multiple options to help them do so. Consistency – For both merchants and customers, ePacket shipping is the most consistent shipping option. The other available methods are not as reliable – unless you opt for the more expensive offerings. Free shipping – Usually offered as a free or low-cost shipping option, ePacket allows storeowners dropshipping with the likes of AliExpress or Oberlo to provide free shipping to their customers. Everyone loves free shipping, and as a storeowner, that could mean one thing: increased conversions. They say everything that has its advantages has its disadvantages, and not even ePacket is exempt from that party rule. Despite its many benefits, ePacket shipping is fraught with its own fair share of drawbacks. Lightweight goods – The most obvious downside has to do with the fact that you cannot ship products weighing more than 4.4 pounds (2kg). That is a bit limiting. Parcel size – Similarly, ePacket has limitations on the size of the package. Packages cannot be larger than 24” x 36”. Price cap – The maximum order value allowed by ePacket is not more than $400. Subject to customs/taxes – The use of ePacket does not absolve customers of the obligation to pay applicable duties or taxes on their goods upon arrival. But this is not unique to ePacket, no. It is an international shipping issue to contend with. Geo-specific – This form of shipping is only offered by merchants in China and Hong Kong, not the other way round. This creates a bias against, say, U.S. merchants. Not only that, it is yet to be rolled out in many other countries so it can be limiting if you want to purchase from countries not yet covered by the service. It is easy to see why ePacket shipping has caught on especially among dropshippers using platforms such as AliExpress. It is cheap. It is fast. It is reliable and easy to track shipments at no added cost. What more could one ask for, right? After all, the lower shipping times and costs a supplier is able to offer his/her customers, the more conversions s/he is likely to see. In a world where Amazon guarantees two-day shipping for free, it is easy to understand where most customers are coming from when they expect the same treatment across the board. To thrive in this game, it could mean taking a hit on your part in terms of profit margins by paying for ePacket shipments in order to offer free, faster shipping. Sometimes, nay – in a good number of cases – this could be the clincher.